View a demo of the book! 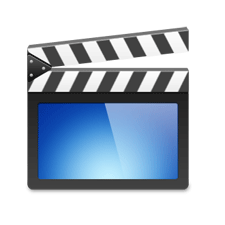 This website contains videos that correspond to specific sections of the Current Geek book. This website contains Calculators that correspond to specific sections of the Current Geek book. This website contains Code References that correspond to specific sections of the Current Geek book. This topic covers a multitude of formulas used in the industry. Power calculations including ohms law, series parallel circuits and advanced power calculations. Transformer calculations for distribution and buck boost transformers including sizing, overcurrent protection and fault current. Conductors calculations including sizing, derating and overcurrent protection. Conduit, box and wireway fill calculations. Motor circuit calculations including sizing conductors and overcurrent protection. Cost of operation of appliances calculations. Residential service entrance load calculation. 4 band, 5 band and 6 band resistors. What the color banding represents (multipliers and tolerances). How to manually convert the color coding into the actual resistance in ohms along with the tolerance percentage. Full load amperages of single phase and three phase distribution transformers. Wiring connections and their associated voltage and current relationships. All aspects of buck boost transformers, such as standard sizes, voltages and voltage changes possible. How to determine the size and quantity of buck boost transformers required for your application. All the different wiring connections available and the voltage change obtained. Information on the conductors used in the industry, including types, sizes and ampacities. Applications such as motor circuit conductors, transformer circuit conductors, grounding electrode conductors, equipment grounding conductors, etc. Rules for such things as ampacity adjustment factors, overcurrent protection and voltage drop. Information on the types, sizes and cross sectional area of conduits used in the industry. Requirements and formulas pertaining to raceways including conductor fill, securing, etc. Instructional information such as conduit bending. Transformer connections especially buck boost transformers. Battery connections for series and parallel applications. Flash protection, such as hazard category classification and arc flash boundary distance. Shock protection such as operating voltage and minimum safe distance. Recommended Personal Protection Equipment (PPE). Requirements for minimum depth of clear working space for different voltages and 3 different conditions. General rules for sizing circuit overcurrent protection as per conductor ampacities. Requirements for motor circuits as determined by motor specifics and type of overcurrent protection used. Requirements for transformer circuit overcurrent protection including primary only protection and primary and secondary protection applications. Exceptions allowed for such things as single phase residential dwelling service and feeder overcurrent protection. Circuit protection for appliances for both labeled and non-labeled units. 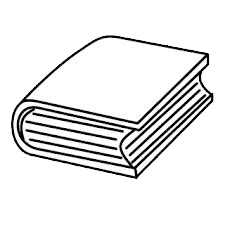 We provide a complete line of printed reference in addition to eBooks, downloadable, digital formatting and mobile applications to all distributors. 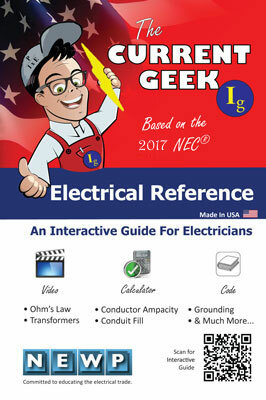 © Copyright 2015 by National Electrical Wholesale Providers. All Rights Reserved.